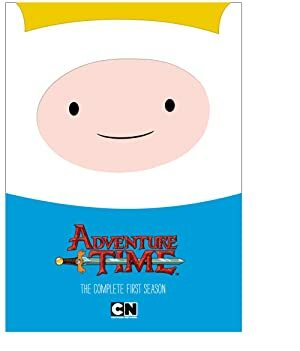 Adventure Time was a 2010-2018 animated series. This strange, then-graphically-distinctive post-apocalyptic fantasy story proved more successful than most expected, by a robust fandom and solid viewership numbers. 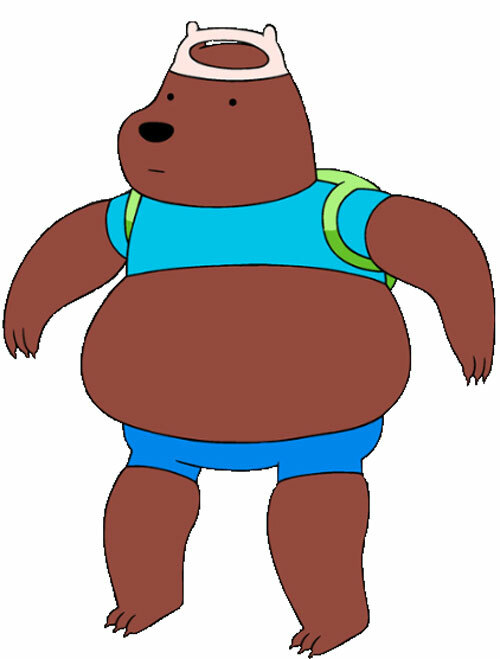 Bear is a minor character who appears in the 2012 Adventure Time episode “In Your Footsteps.” I did not see the ending coming and it was a good, entertaining episode. Base Of Operations: Forest area near Candy Kingdom. Height: 8’0” Weight: 600 lbs (5 APs?). He is a fully grown brown bear and has all the benefits and strengths that come with it. He is also intelligent enough to mimic by watching and listening. He learned to speak and to write as he watched Finn. The Bear just happened to be nearby when Finn and Jake made a dramatic entrance to the candy people’s dance party in the forest. After watching for a few moments the Bear approaches Jake. Jake tries to introduce himself but is ignored. 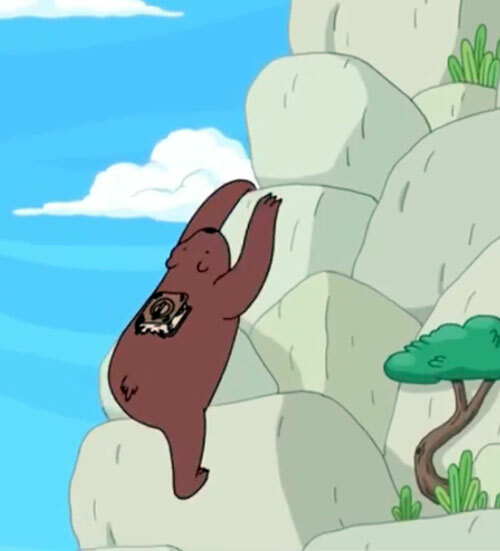 The Bear begins copying Finn’s actions. When Finn munches on some peanuts the Bear follows suit but starts to choke. Finn rescues the Bear by dislodging the peanuts with a blow to the Bear’s back using the Enchiridion . 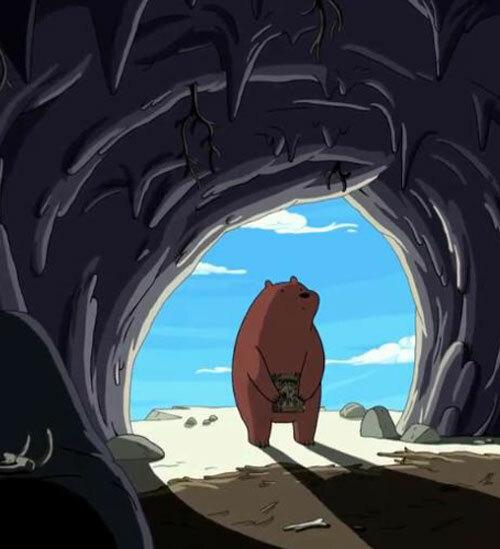 After the party, at night, the Bear follows Finn and Jake. They take him home to their treehouse fort and he stays the night. Finn learns that the Bear copies everything he does and he’s thrilled by it. Jake however, is suspicious. Jake is awakened in the middle of the night when hears a noise. He is shocked when he sees the Bear has dressed himself in Finn’s clothes and was practicing the moves and words used by Finn at the forest dance party. The Next morning, The Bear was dressing in Finn’s clothes and mimicking Finn word for word; action for action. 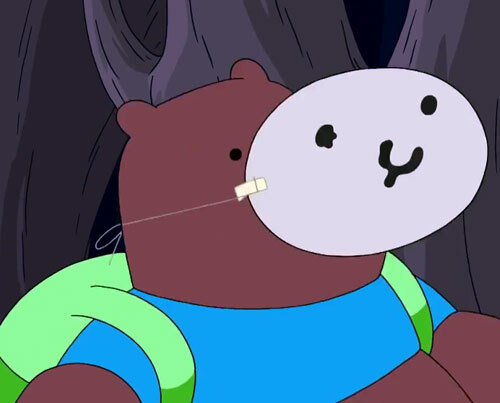 When Finn left to pick up BMO from soccer the Bear attempted to frame Jake. After a brief argument between Finn and Jake they realize the Bear was gone but had left behind a hand-written flyer. The flyer invited everyone to come to his party in the forest. A hero in the making ? Finn and Jake then go into the forest and find the Bear, disguised as Finn, partying with PB and the Candy People. 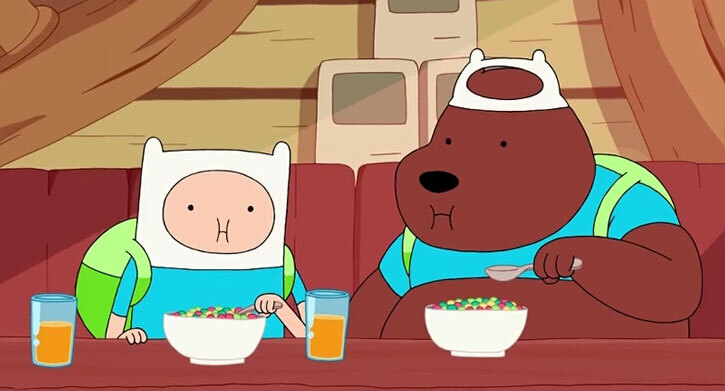 Jake convinces Finn the Bear was stealing his ex-girlfriend and trying to replace him. Feeling betrayed, Finn ripped the Bear’s mask off and tells him that the jig is up. The Bear, crushed and crying, backs away into the forest. Princess Bubblegum then explains that nobody actually thought the Bear was Finn. Finn and Jake run after the Bear and apologize. The Bear tearfully explains that he only wanted to follow in Finns footsteps and be a Hero. Finn is touched and gives the Bear the Enchiridion (The Hero’s Handbook, obtained by overcoming many challenges) and tells him that he can become a true hero. 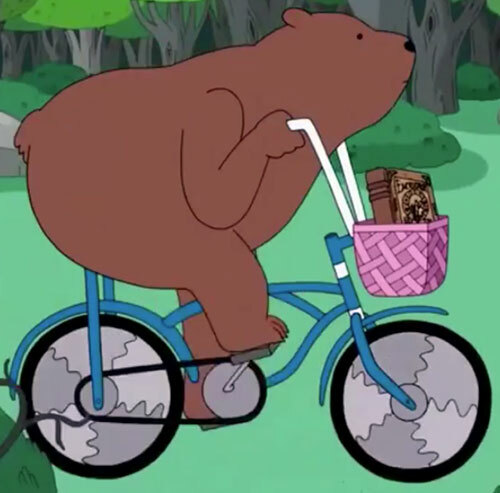 After parting ways, The Bear rides a bicycle then climbs a mountain and enters a cave. A voice from the depths of the cave asks if he’s completed his mission and brought the book. The Bear presents the Enchiridion to the Snail, who is still possessed by The Lich. He looks exactly like a normal bear with brown fur. While copying Finn he wears Finn’s clothes and a poorly made mask that is supposed to resemble Finn’s face. He can talk in a deep growly voice and can write, though at a preschool level. The Bear is able to stand upright and has more of a human stance. Even his front paws are more like human hands allow him to snap his fingers. He has demonstrated a calm personality but not a very high intelligence, believing that copying Finn, would automatically make him a hero. However, it’s unclear if this is his true nature, due to his connection to The Lich. The Bear may be concealing an evil personality or even being deceived himself, for he has not shown a change in attitude when he encountered Lich. Density Increase and Growth are Always On (-1). Density Increase adds to STR and BODY – already figured above (+3). Growth adds to STR (already figured) and Physical RV (not figured) (+0). Language (English, verbal as well as written). Bicycle [Body 03, Str 03, Running: 04, R#2, cost: 40]. Mental and Mystical stats are speculative, I tried to base them on what he is seen doing. The reason they are speculative is because he was running a ruse the whole time and you don’t know if he is an innocent perhaps just “awakened” by a spell (which is how I’m writing him) or a cunning and manipulative agent of Evil ! Source of Character: The Animated TV Series Adventure Time Season 4 2012 episode “In your footsteps”. 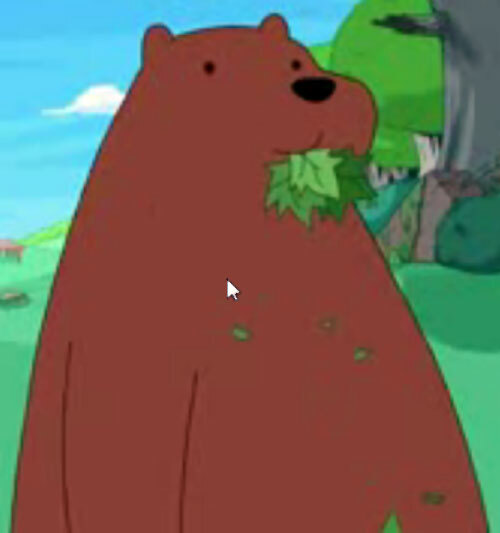 Helper(s): adventure time wikia , bear stats from the Animal file on Worg. Writeup completed on the 25th of July, 2012.